PORTLAND, Ore. – February 11, 2019 –Widmer Brothers Brewing today announced a variety of new ways to enjoy its flagship Hefeweizen in 2019. The gold medal award-winning beer will be one of the first craft beers available in 18 packs of 12 ounce cans. The brewery is also building on its long-time partnerships with the Portland Trail Blazers and the Portland Timbers to launch 4-packs of 16 ounce co-branded Hefe sports cans, and adding limited edition black and gold 19.2 ounce Hefe cans. Hefe has been the brewery’s flagship beer for 33 years, and in a time when cloudy beers are all the rage, the Original American Hefeweizen is still the best-selling craft beer in Oregon. To celebrate Hefe’s iconic status, Widmer Brothers decided to showcase the beer with new packaging formats for every occasion and timing couldn’t be better: many of the new formats launch in February, which has been dubbed #FlagshipFebruary – a celebration of defining beers -- by the brewing industry. Kurt and Rob Widmer, co-founders of Widmer Brothers Brewing, first brewed Hefeweizen in 1986. Initially, beer drinkers were skeptical of the cloudy beer served with a lemon slice, but it didn’t take long for the distinctive, delicious beer to catch on in Portland, and eventually elevate Widmer Brothers Brewing to national acclaim. Widmer Brothers is also credited with creating a new beer style with Hefe: American-Style Wheat. 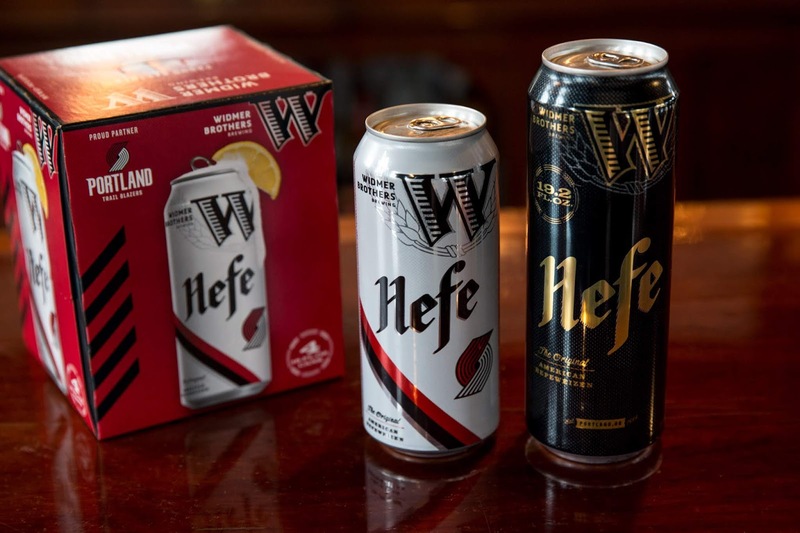 The new cans and packaging formats of Widmer Brothers Hefe can be found throughout 2019 at grocery stores, convenience stores, in restaurants, and taprooms across the Pacific Northwest.